It seems as if the internet may have bursted at the conclusion of last night’s World Title match. In case you’re curious, three men- Seth Rollins, Dean Ambrose and Roman Reigns- attacked Ryback ruthlessly, similar to Nexus’ original debut and powerbombed him through the announce table. CM Punk picked up the scraps, retained his Title and today marks the one-year point of his reign. 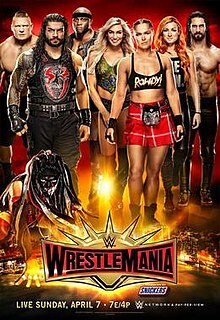 Rollins, Ambrose and Reigns are all familiar to NXT viewers and how WWE will have them explain their actions should make for good television. It’s fortunate that there was this to boil over from because besides for a few shiny spots, this was a mostly forgettable show. Back in the Pay-Per-View fold after a year’s absence, the infamous Elimination Chamber was all a part of the blue brand’s WrestleMania build. With Royal Rumble winner Randy Orton in the wings for a Title shot, six of the best would battle it out to see who he’d face, a few in the first Chamber match of their careers. On a night where a few undercard talents had their moment, other bouts got lost in the shuffle, but as always, SmackDown delivered when it counted. – Announced last week, this was a notable occurrence where the Royal Rumble winner would challenge the current WWE World Heavyweight Champion, nine days removed from said Rumble event. Now, enter Randy Orton and Champion John Cena into these roles and you might have a different reaction to that in 2017. Of course, we’ve all seen their past 34,000 encounters between 2006-2011, so this wasn’t any new territory, but the opening video accomplished an almost-impossible task – it made it feel like important history. We guess all that nostalgic footage also helped out. That was the nature of it all and surely, there was lots of footage at the old video library to rummage through for this piece. Give that Production Employee a cookie, dammit. – Given that the Royal Rumble was won by a SmackDown guy (that’s Randy Orton, The Wyatt Family-Friendly version in case you didn’t know), the opening video gladly reminded us of all that jazz. WWE took it upon themselves to quote various media outlets with the most generic sentences on planet Earth. We’ll give an example. “That was a Rumble!” – Forbes. No kidding. You’d also be crazy if they didn’t sprinkle in footage of the epic rematch between WWE World Heavyweight Champion John Cena and AJ Styles where history was made and such. However, the Rumble madness is over and thanks to WWE’s killer Pay-Per-View schedule, we’ve got Elimination Chamber in a mere two weeks. – The General Manager Daniel Bryan/Miz/Maryse backstage segment was another perfect example of chemistry done right. For months, Miz had been at his boss’ head ever since he was criticized in that infamous Talking Smack promo. There was no better way to set up a Lumberjack Match than have Miz boldly claim he “paid all of the locker room’s salaries with star power.” Bryan, apple aside, was all wits, as he used Miz’s statements against him to give him a WWE Intercontinental Championship rematch, but under his rules to prevent outside interference. Welcome to the world of logic. None of that on Raw. – The John Cena in-ring promo got things off to an energetic start with the rabid Chicago crowd, a longtime tradition since WrestleMania 22. His banter started on a pandering note, as he played up the Arena’s history, mentioned sports teams and enthusiastically hyped the show. He spoke up the main event before a big “Undertaker” chant broke out (related to rumors of an Undertaker-Cena WrestleMania 33 match) as he instead went a different direction. It took a more intriguing turn as he played up his losses in the year and worked in speculation that he was a “part-timer” now, but he basically was back to be a Champion and boldly challenged whoever won the Triple-Threat WWE World Heavyweight Championship main event for Royal Rumble. The biggest reason? He’s Cena. A bit stuck-up, but it oddly worked. It’s probably the closest thing to a heel Cena we’ll ever get while retaining the “Never Give Up” key to his character. Color us intrigued. – The General Manager Daniel Bryan/Commissioner Shane McMahon/James Ellsworth opening backstage segment was good and bad news. We saw Ellsworth “sick” and it left Bryan/Shane no choice but to postpone his World Title shot and search for a new #1 Contender. Ellsworth was also reprimanded for his interference in last week’s WWE Intercontinental Championship match. – The opening video replayed James Ellsworth’s betrayal of Dean Ambrose, as he tipped over a ladder with him on it and caused him to land through two tables outside, which helped WWE World Heavyweight Champion AJ Styles retain. As we learned on the post-TLC Talking Smack, Ellsworth planned to challenge Styles for the belt and pawned off the idea of an angry Ambrose as an obstacle. The dynamic would be interesting this time since Ellsworth was on his own. Two weeks after Survivor Series and two days after Ring Of Honor’s Final Battle, it was easy to view WWE’s TLC with Pay-Per-View fatigue. Honestly, such is the story of 2016. 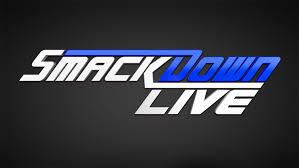 Thanks to the “Land Of Opportunity” mindset and the ability to make the most of the little things, the SmackDown Live brand took the TLC branding to a “new extreme,” if you will.